Today, we’ve discovered a more accessible solution to get a little piece of this famous builder into your very own back yard. Backyard Eichlers offers four Eichler-inspired shed styles to use as a home office, art studio, guest cottage, playhouse, meditation space, potting shed, storage space — or whatever you can dream up…. Backyard Eichlers started when founding partner Scott Balser — a designer, builder and remodeler in the business for over 35 years — wanted to pay homage to Eichler style and provide an aesthetically pleasing option for those looking to enhance the back yard of their mid-century modern style home with a equally beautiful and functional shed. 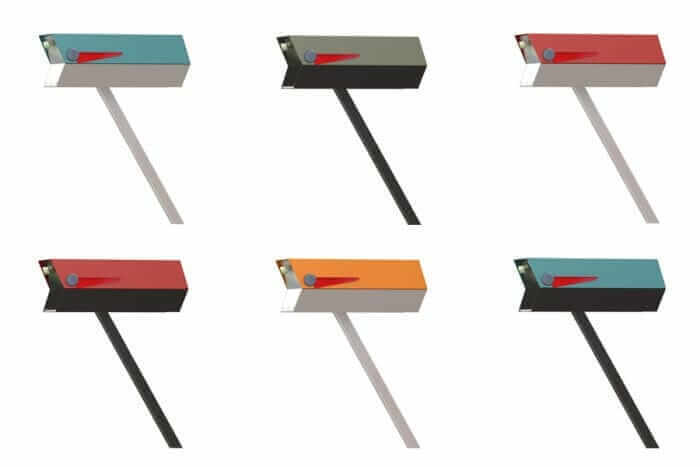 Each of the company’s four models — available in slanted, peaked or flat roof varieties — can be completely customized, allowing you to choose the final size, roofing, siding, flooring, interior paneling, window and door style and type of insulation. 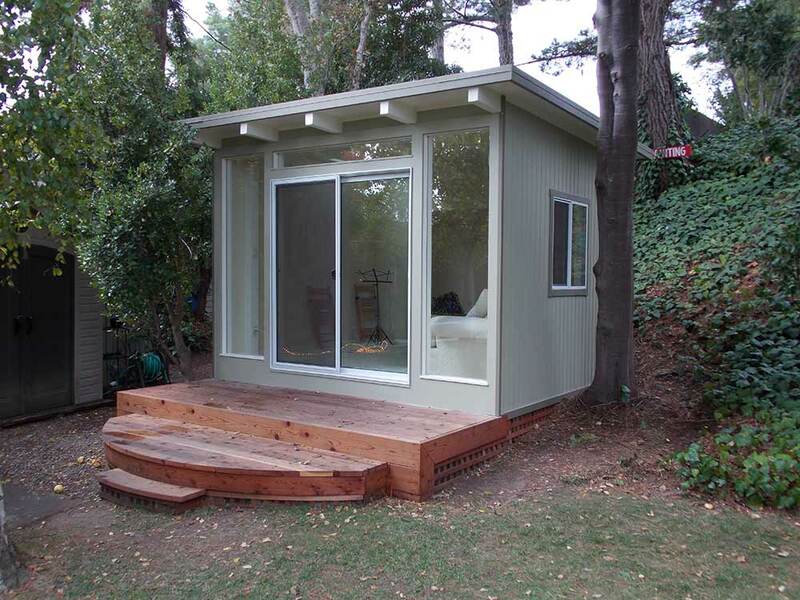 Backyard Eichlers can also help you with adding a deck or planning for electrical and plumbing to meet your needs. 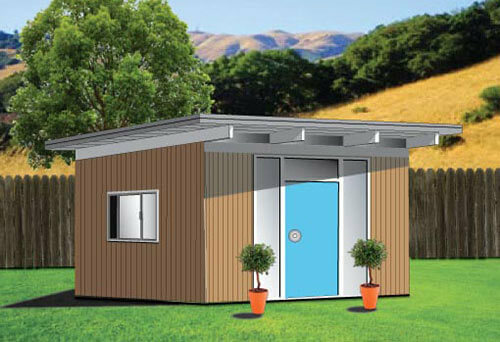 Prices differ based on the model you choose, size, finished and other amenities that are added. The base price range starts at $12,900 fully installed for those who live within a 50 mile radius of Backyard Eichlers in San Rafael, Calif. Another option is to order a kit with pre-assembled panels that you can install yourself, which starts at $9,800 plus tax and delivery. The company will ship pre-assembled kits anywhere in the continental United States, though if you live on the East Coast, be prepared to shell out an additional $3,000-$3,500 for shipping alone. 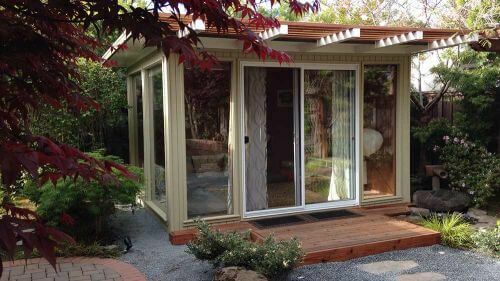 These mini mid-century dwellings do not come cheap, but you are paying for the design expertise of a seasoned professional, attention to detail, and buying a ready-made building that can be put up in the course of a day or two creating an instant adult size retro playhouse in your very own back yard. 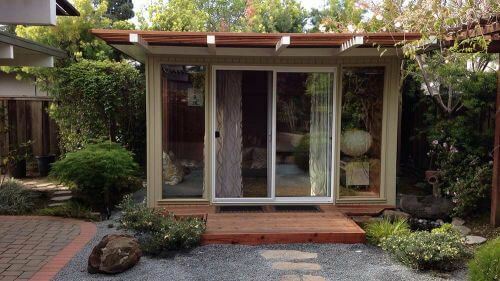 I for one, would love to have my own backyard Eichler hide away to use for an art studio — though since I live in Wisconsin, provisions would have to be made to ensure the space was well heated in the winter months. 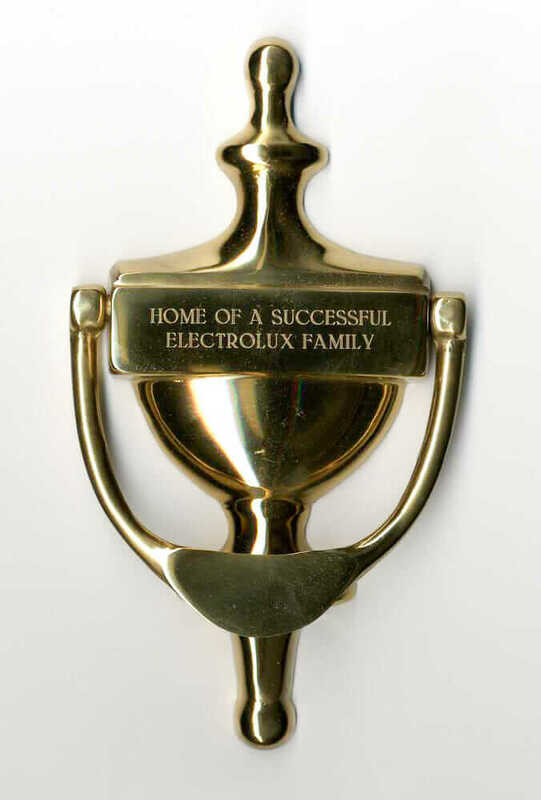 Mega thanks to Facebook friend Marz for alerting us to these adorable mini Eichlers and to Dave and Backyard Eichlers for his help with this story. I like the choice of exterior materials, the interior finish options, and the flexibility in size and shape. My dream: a resort made up of a dozen or so Modern Shed cottages overlooking a lake or meadow or otherwise beautiful view. 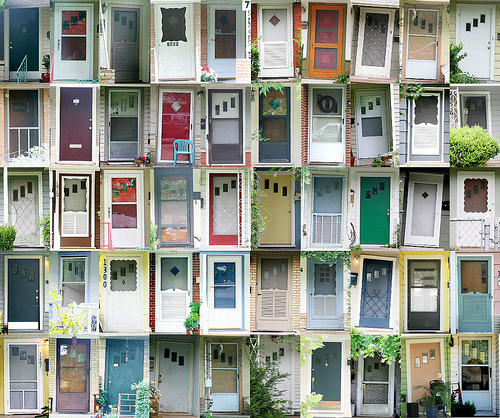 Live in one; rent out the others. Perfection! I LOVE these but note…if you are in Cook County, IL, expect a permit nightmare. We were fighting with CC for TWO YEARS about a shed. They required a permit, electricity, etc. and it was prefab kit ready to go. I do not recommend these if you’re in CC otherwise get your ducks in a row in regards to permit. Otherwise, I would love to have one. In my town, permits are required. Special permits or variances may be required if you need to put in a setback, etc. Check local rules…. I’d love to see a tutorial that shows you how to transform a regular old box shed into one of these, most people have box sheds in their backyards. Most of these are kits or complete builds. 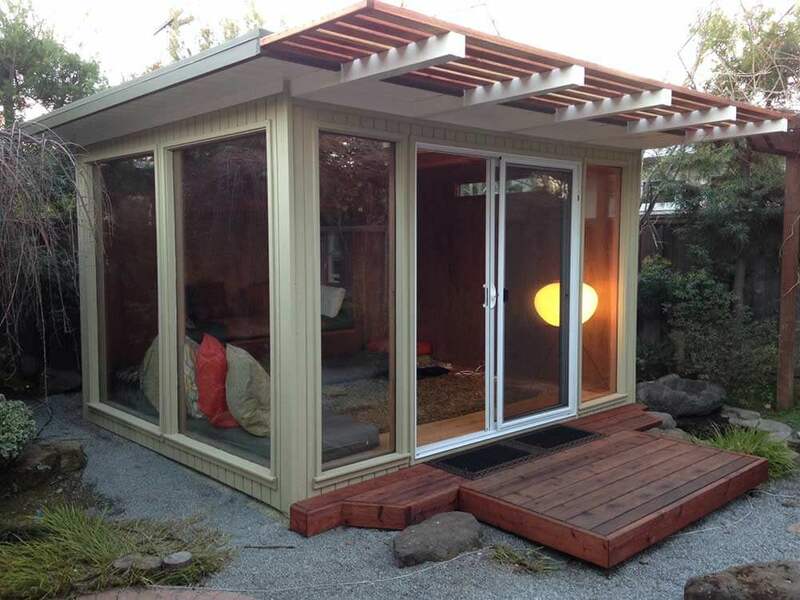 A site that shows you how to remodel them into an Eichler or modern style shed would be great!